The Pagoda is a center-pole tent, and also the most common type of tent rentals. It can be used for multiple purposes and is highly versatile. These tents can be grouped together to create larger structures. They can also be walled for extra protection. Provide weather protection at your event without taking away from the decoration and structure of your occasion. Available dimensions: 10x10, 10x20, 10x30, 10x40, 15x15, 15x30, 20x20, 20x40. Large Event Tents range from 40’x40′ up to 40’x120′. These full size tents are large enough to house your entire event. These are particularly important when you have an event at a rather large outdoor venue; it can make your event recognizable for your guests. Planning an entertainment portion of your event? Our Stage Tent rental is perfect for events with performers, bands, and other entertainment. The dimensions are 30x30, making it the perfect size for small bands, dancers, and excellent coverage for stage equipment. 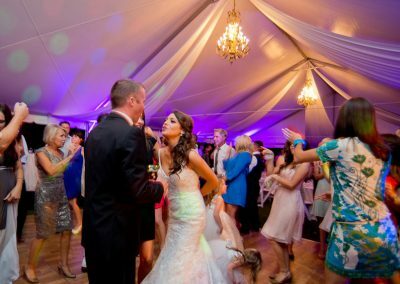 Tent rentals are perfect for weddings, receptions, fundraisers, concerts, and many more types of events. Our tents provide not only protection from the rain, but shade from the other elements, as well as privacy. The larger tents come with or without walls. 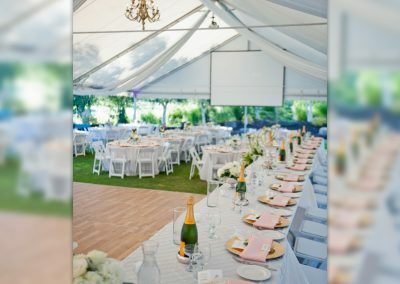 At Parties To Go, we provide the tent, delivery, and set-up.